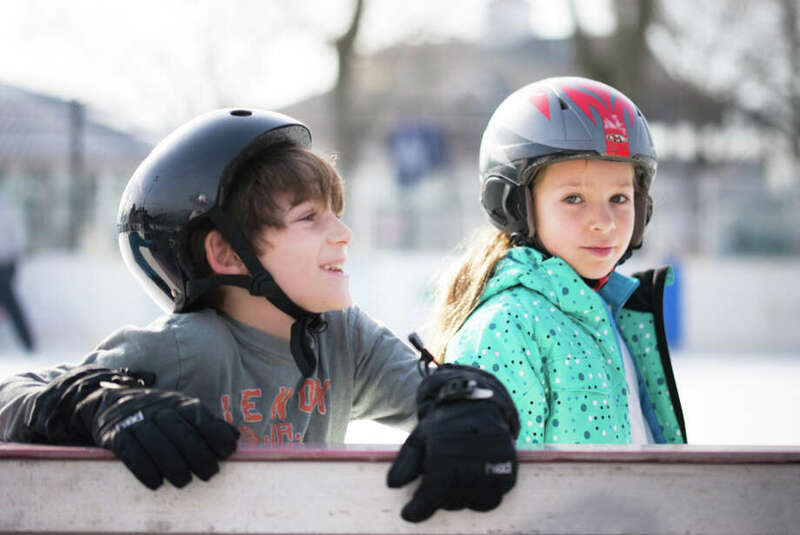 Were you Seen at the Westport Parks and Recreation lessons at the P.A.L Rink? The weather was perfect for an afternoon filled with ice-skating at Westport's outdoor ice-skating rink Saturday. Children between the ages of 5 and 14 filled the rink with their gear, light-winter clothing and their group instructors. Cyndi Palaia, the Parks and Recreation Program Manager, has been teaching kids to skate at the Longshore rink for the past 13 years. "It's a great winter activity. It gives kids the opportunity to be outside and have a great time," Palaia said. Westport's Park and Recreation Department offers lessons to the residents of Westport for 150 dollars for a ten-week package. The program runs from the end of November to mid February.